This cottage is located in New Hampton, NH. directly on Lake Pemmiquasett. The lake straddles the towns of New Hampton and Meredith and is 256 acres. The lake has an uninhabited island in the middle called Blueberry Island. New Hampton is a quaint New England town accessible to everything the lakes region has to offer. Weirs Beach is Less than a ten minute drive away. Antique shops and shopping outlets are also in the area. This is the perfect location for a vacation. At night the summer sky is filled with stars and relaxing around the fire with friends and family will create memories that shall never be forgotten. Better than just a place to stay…during the fall the spectacular view of the foliage will leave you in awe. The color of the leaves reflecting on the water is beautiful. 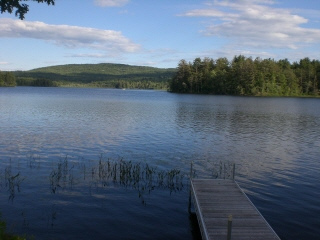 This vacation rental is an excellent inexpensive lake front property that cannot be beat. 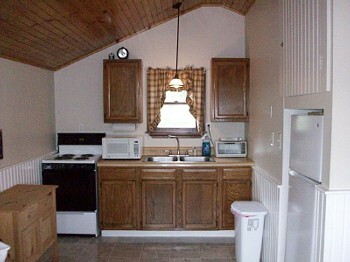 The cottages are immaculately clean; the decor has the vibe of a log cabin, that has been tastefully decorated. 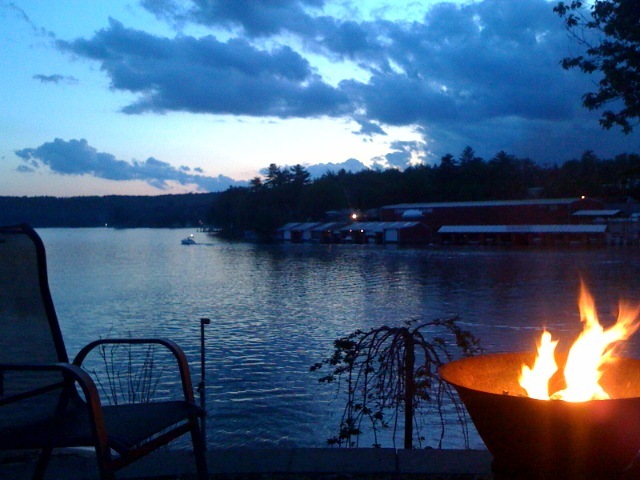 While traveling in New Hampshire this is a great location to stay and experience everything New Hampshire lakes region has to offer. The summer rental is excellent for enjoying nature at its best; it’s almost like camping but the cottages offer comfortable accommodations and amenities. Please contact us today for a quote for your next vacation rental. This cottage is a 15 minute drive to Winnipesaukee, NH and all outlet shopping, great for antiquing or trying the great local restaurants. From the South it is exit 23 off of I93. Accommodations for 2 - 4 people. Kitchen is fully equipped with the following items and more: utensils, dishes, glasses, ice tray, can opener, cookware, paper towels, stove, refrigerator, sink, microwave, toaster, cabinets, table w/chairs and tiled floors. New bath and Shower, full bath, toilet, vanity, shelves and mirror -very clean! Flat screen TV w/ satellite cable, view of the lake, pull out sofa bed, coffee table, ceiling fan, carpeted, walk out the front door and you are standing on a 15 X 20 deck with chairs and a grill with a beautiful view of the lake. A dock is also in the water for boat or jet ski. 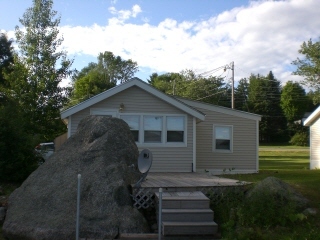 Plenty of parking , plenty of green grass, deck with grill, dock out to water great for fishing, swimming or boating. Fire pit. Local wild life watching. This location is close to Weirs beach, Lake Winnisquam, Ossipee, Meredith Bay, and is a excellent getaway! Excellent view of the lake with mountains behind it.